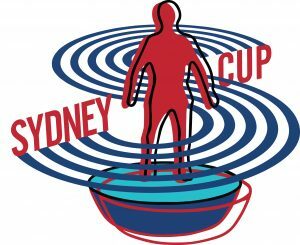 2018 sees the launch of a brand new competition for table footballers based in Sydney (or who will be in Sydney very regularly through the year). In an Australian first, the Sydney Cup will run right across the year as a stand alone, knockout tournament, for all players of all clubs as well as those without club affiliation. tournament guidelines document pdf file here. Entry is completely free, just fill in the form below to become part of the action. Entries close at midnight on Friday, Feb 9 and the first round of games will take place throughout February. This entry was posted in News, Upcoming tournaments on 27/01/2018 by ajebec.